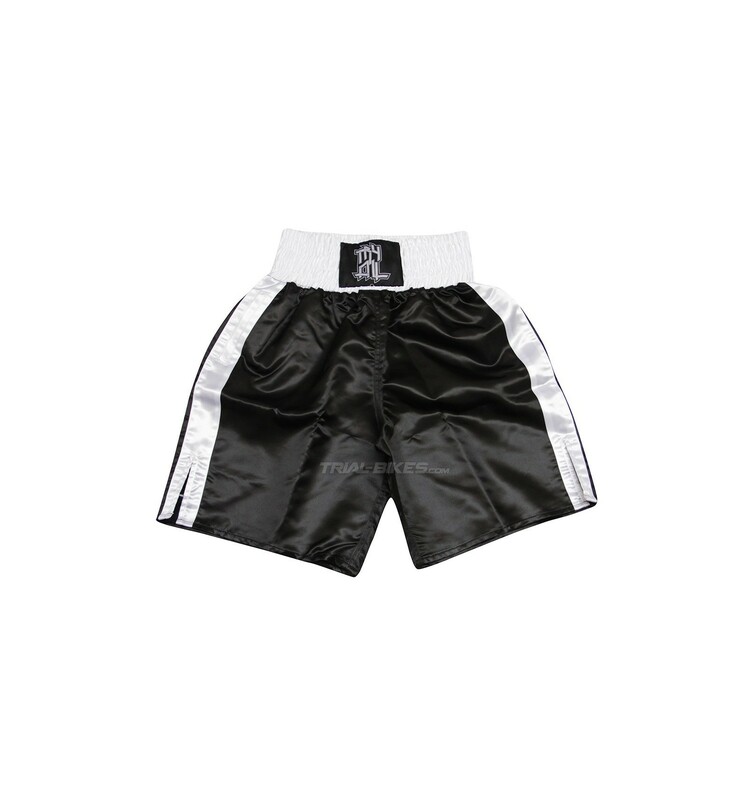 - New Try-All Rumble shorts, with a Boxing-inspired design. - Made from polyester (100% ), satin and flexible finish. - Light and smooth, with side openings for an increased freedom of movement. - Wide, elastic waist for an easy and fast adjustment. - Pocket at the left side. - Available in M size. 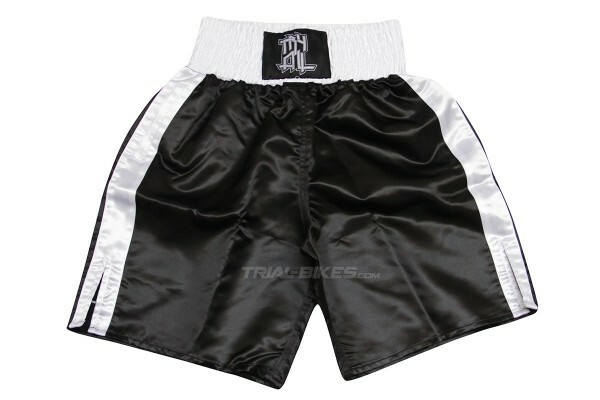 - White and black Try-All logo, sewn at the center of the waist. - 30º machine wash only.